A KEIGHLEY man has been jailed for more than two years for a catalogue of offending, including ramming a car off the road and using someone else’s passport to travel to Spain. 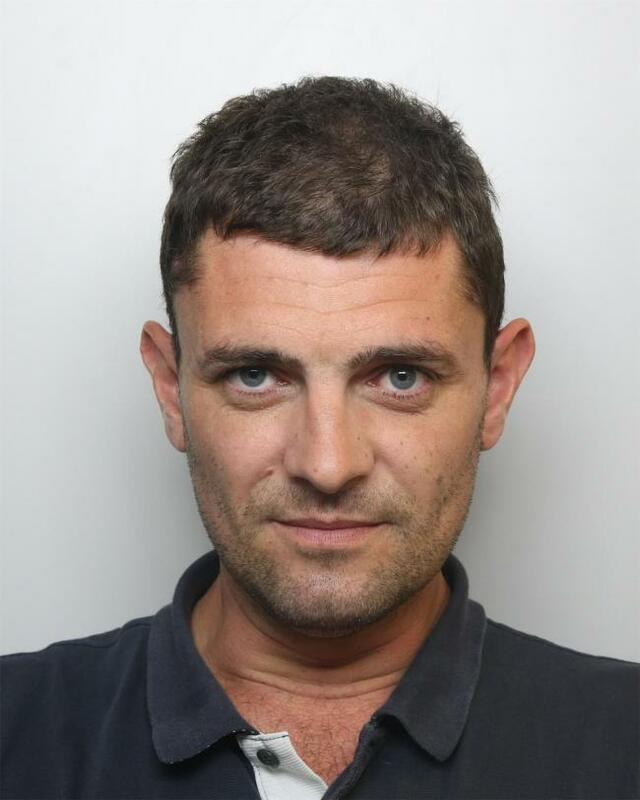 Michael John Vickers, 35, of Shann Crescent, Keighley, was jailed for 27 months for 15 separate offences, which also included spitting in a police officer’s face and a racially aggravated public order offence. Bradford Crown Court was told the offences relate to an ongoing feud between Vickers’ family and another family in the town. The first offence to take place was on January 9, 2017, prosecutor David Hall explained. He said Vickers used racist language towards two Asian men, before punches were exchanged, initiated by Vickers’ son. Shortly after Vickers and his son got out of their car and continued to be aggressive, punching and kicking the men. The next offending was three counts of breaching a non-molestation order while at prison on May 19 and June 14, when he sent letters and an abusive Snapchat message to his former partner. On July 31, 2017, he failed to surrender to custody at Leeds Magistrates Court and was convicted in his absence. He breached the non-molestation order again on August 4, 2017, when police had to be called to arrest him when he was found hiding in the loft at his former partner’s house. He resisted arrest and also assaulted a police officer by spitting in his face, and was “argumentative and difficult after being arrested”, said Mr Hall. On December 9 last year, while driving along Oakworth Road, Keighley, Vickers rammed another vehicle off the road. He was driving towards a Nissan Micra in his Mitsubishi L200 pick-up truck, causing the car to swerve out of the way. He then turned his truck round and chased the car, ramming it from behind, damaging the car and causing the three passengers minor injuries. He also admitted sending threatening Snapchat messages to a man who was due to give evidence in a court case, and affray, where he along with three other men drove to another man’s house, before getting out, pointing a stick towards the man in his seventh floor flat, and making a throat-cutting gesture. On May 8 of this year, he was arrested at Leeds Bradford Airport after flying home from Alicante using a friend’s passport. Julian White, mitigating, said the offending was due to an ongoing feud between families, and many of the offences were due to frustration from Vickers at the situation. He said Vickers fled to Alicante in an attempt to lay low to stop the feud, “but realised it was pointless and came back”. In sentencing, the Recorder of Bradford Judge Jonathan Durham Hall QC said Vickers had “been appearing at court with depressing regularity”. He said: “The racially aggravated abuse troubles me, what happened was out of order. Vickers was jailed for six months for the racial incident, one month per non-molestation order breach and six months for affray to be served concurrently. He also received one month for assaulting a police officer, 12 months for dangerous driving, three months for perverting the course of justice, and five months for using false travel documents to be served consecutively, and no further penalties for failing to surrender and criminal damage.